hi - I'm trying to make a system-restore - can't find what is seen on the picture - where is it ??? Please show me the restore page of yours. Well, I think you've already found the restoration process. 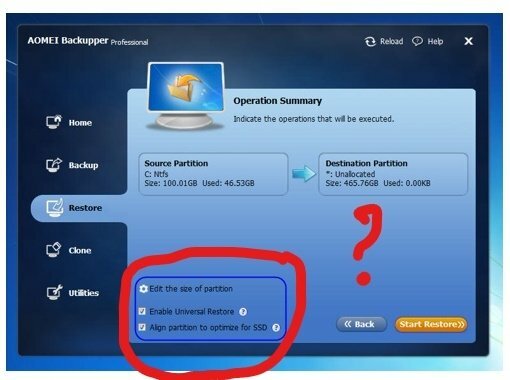 If you restore to the original location, the Edit and Align Partition options will not be available. You will see them if you restore to other locations.